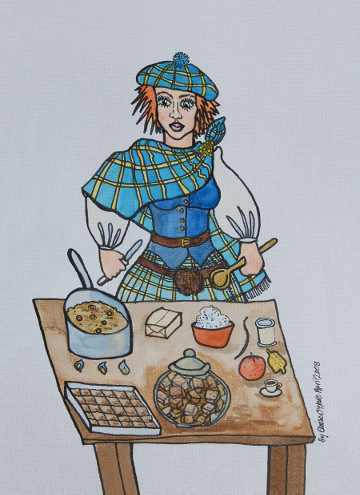 Postcard of a Scottish girl (dressed in an Anderson clan kilt) making fudge. Postcard of a Scottish girl (dressed in an Anderson clan kilt) making fudge. Melt butter in a heavy pan, add sugar and condensed milk and boil the mixture. Once it's hard, divide the mixture into three parts and add chopped vanilla, orange and lemon. Leave in the fridge to set and chop into cubes. Yum!